You’re busy and don’t have time to scour the Internet - but you still want to stay up on the latest information security news. As your Trusted Security Advisor, we’ve made it easy for you to stay informed. Get the most important news you can share with your colleagues sent directly to your inbox. You may unsubscribe at any time. 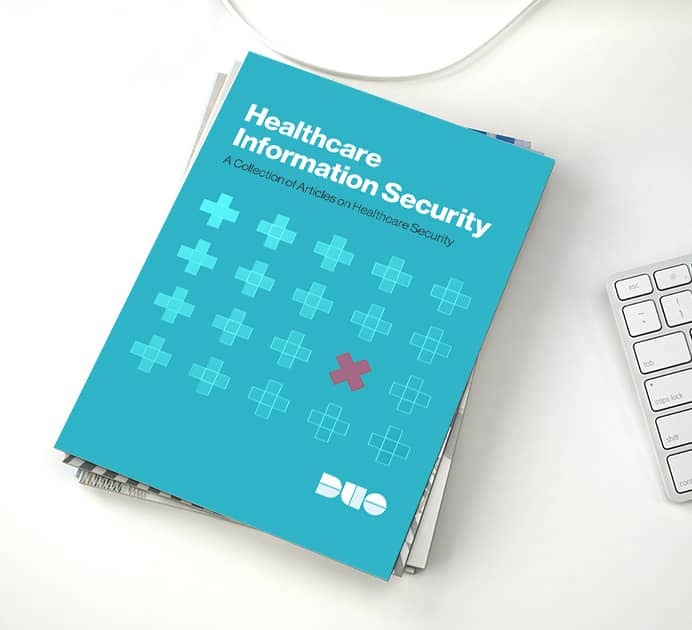 Featuring a new guide, Healthcare Information Security, how to secure access to data stored in Amazon S3 buckets, an overview of recent malicious attacks against U.K. universities, NIST’s new security controls for IoT, MFA and SSO, and more. Featuring Moving Beyond the Perimeter: How to Implement the BeyondCorp Security Model, NIST updates to password security, new open-source phishing mitigation tools, and an overview of modern two-factor authentication. Featuring the 2017 Duo Trusted Access Report, a new infosec glossary resource, new phishing tactics and Gmail phishing prevention, HHS guidance on ransomware, and Chrome research from Duo Labs. Featuring the Essential Guide to Securing Remote Access, an overview of WannaCry ransomware, a security analysis of over 500 million usernames and passwords, SMS-based 2FA risks and more. Featuring a Duo tech case study, Branch, an overview of the new PCI DSS 3.2 MFA guidelines, a look at Google’s Android Security in Review, an article on how hackers are targeting managed services providers (MSP) to breach client networks and more. Featuring a Duo Beyond case study with KAYAK, a practical BeyondCorp article on enrolling users and endpoints, security guidelines for federal contractors, how to secure access after the Cloudflare bug, and more.